Confluence Visuals provides implementation and support services for websites, with a strong specialization in WordPress. I don’t design websites – I leave that to graphic designers and user experience specialists, but I do specialize in taking those designs and requirements and turning them into functioning websites. Mobile application for retail website. 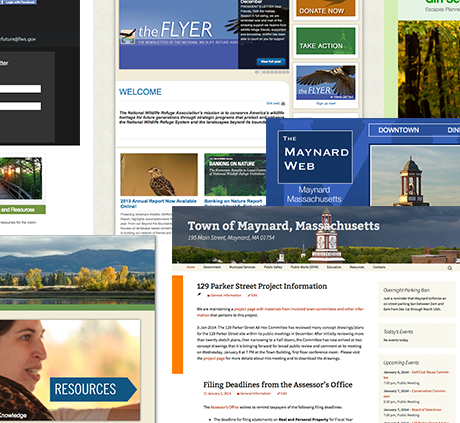 Mobile friendly municipal website with ongoing content management. WordPress plugin for a customized quiz that guides clients to particular interior design solutions. Ongoing support of a national non-profit organization. WordPress/Buddypress site and live conference support for a national-scale federal program. Custom event/workshop registration form and tracking.